INDIANAPOLIS (Friday, July 7, 2017) – INDYCAR announced a multiyear extension with Xtrac, Inc. that continues the brand’s long-time position as the official supplier of transmissions for the Verizon IndyCar Series. Xtrac is one of INDYCAR’s longest-tenured partners and its parts are utilised across the motorsports landscape in disciplines such as Formula One, sports cars – including IMSA, GT, touring cars, and rally competition. Xtrac began supplying transmissions for several Indy car teams in the 1990s and became the exclusive supplier to the Verizon IndyCar Series in 2000. Xtrac began supplying gears and gearboxes to IndyCar team in the early 1990’s before becoming the exclusive supplier to the Verizon IndyCar Series in 2000. A key requirement for the gearbox design in 2000 was driver safety and in conjunction with the various chassis suppliers and the organising technical commission a gearbox with a significantly lower polar moment of inertia and mounting for a rear safety impact structure (RIS) was produced. This P195 gearbox design allowed the cars to be driven with greater levels of confidence by the drivers as the design helped to make the cars far more stable. The P195 gearbox was used until the end of the 2002 season which it was replaced with the P295 gearbox. Safety features were increased and this new gearbox allowed for a much larger carbon fibre RIS along with wheel tethers which added to spectator safety. Whilst the P295 gearbox was designed to have a cable operated sequential gearchange, it was always considered that it would progress to allow for a paddle shift gearchange system. In 2008, Xtrac developed a pneumatic gearchange system with partners Mega-Line and successfully upgraded all cars to paddle shift. This change removed the need for a gearchange cable or rod, thereby offering the driver even greater levels of safety by lessening the risk of injury from cockpit intrusions. 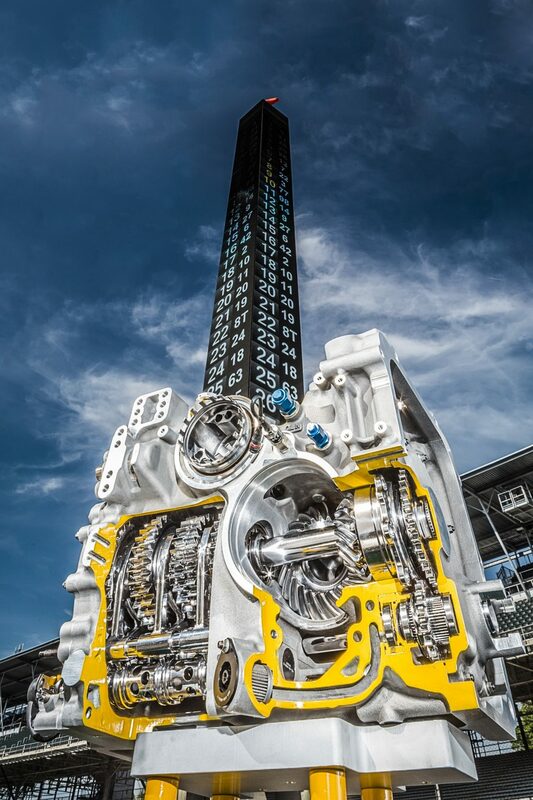 The current specification of gearbox, the P1011, was introduced for the 2012 season and continues to perform with exemplary performance, reliability and safety. 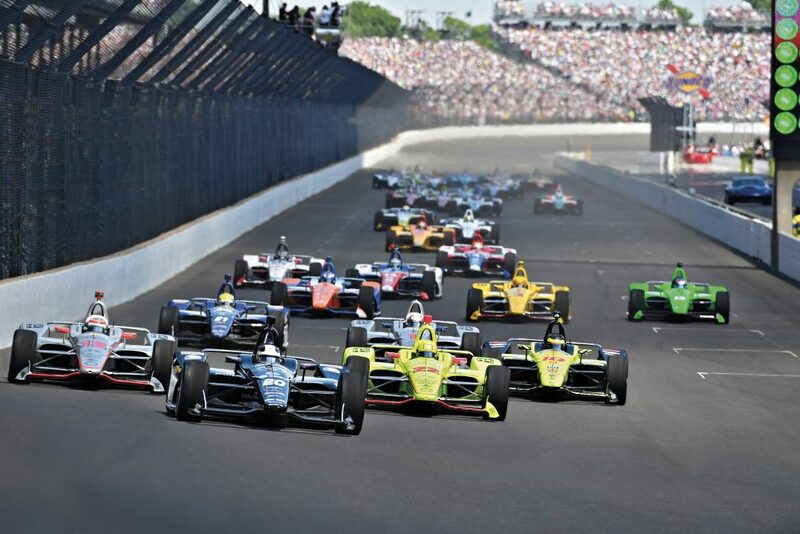 Start of the 101st Indy 500 in May 2017. Cutaway P1011 IndyCar Gearbox & Indianapolis Speedway Scoring Pylon.